"I remain optimistic because Ireland is changing. I believe that we have the policies and plans to tackle the housing and health care crises. The debate on Irish unity is under way, and we will have elections and the opportunity for people to have their say. 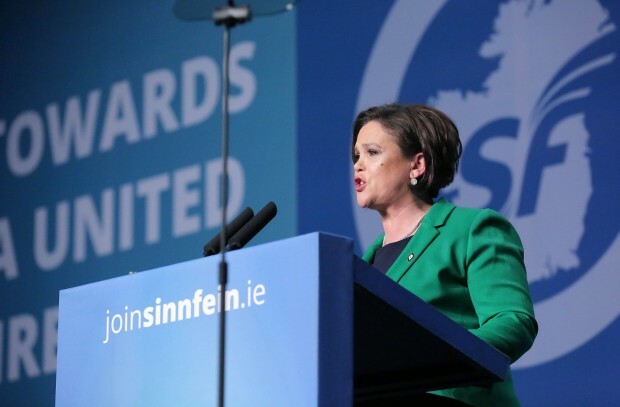 The choice is simple, continue with the failing policies of Fine Gael and Fianna Fáil or plot a new course for a new and united Ireland." 2018 was a milestone in a changing Ireland. It was given voice in the Repeal referendum. In Belfast the largest political demonstration was Pride. For this generation the border is an anachronism. 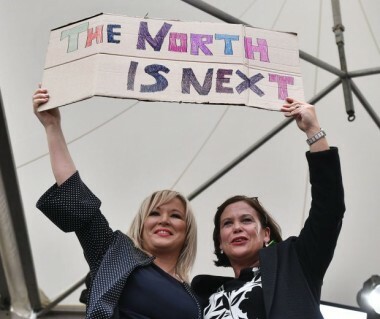 When the Repeal result was read out a sign was held aloft, ‘The North is next’. Rights transcend borders and so does this generation. 2019 will mark the centenary of the First Dáil. A people’s parliament for a revolutionary generation. The coming year is an opportunity to rebuild that culture of change and a parliament that serves the people and not vested interests. Sinn Féin will stand with the people on the streets and stand up for them in the Dáil because the housing and health crises can and must be ended. The policies of Fianna Fáil and Fine Gael created and sustained the health and housing crises. As waiting lists grow and the number of patients on trollies hit record highs, the Taoiseach points the finger of blame at doctors and nurses who take Christmas leave. His response to rising evictions and homelessness is to defend the Vulture Funds and give tax breaks to landlords. The Taoiseach and Fine Gael are supported in all of this by Mícheál Martin and the supply and confidence trick. Regardless of what choice the British government makes on Brexit, it cannot be allowed to damage Irish interests, our economy, our agreements or the rights of citizens. This is one issue that unites the majority of parties North and South. We will continue to stand up in the interest of all Ireland. Early in January I will travel to Brussels to continue our engagements with European leaders. An Executive in the North should be in place delivering for all in the community, growing the economy, standing up to destructive Tory policies, and representing the majority view on Brexit. Instead we have witnessed daily at an inquiry the corruption of governance that led to the RHI scandal. No government could sustain the abuse of power and intolerance displayed by the DUP. All the while the Irish and British governments looked on and refused to act. It is a disgrace that the institutions of the north are not up and running. We had a deal with the DUP leadership that would have reinstated the Institutions. The DUP walked away. The two governments promised a new talks process. Ten months on there has been no talks and no process. There has been nothing constructive from the two governments. That is not good enough. Every day that the Executive is suspended undermines the political institutions. Every refusal to recognise rights undermines the political process. The threat to impose Brexit undermines the democratic process. The DUP know that their deal with the Tories will end. They also know that the refusal of rights is not compatible with equality and power-sharing government. They should also know that there is no good or positive Brexit for the north. 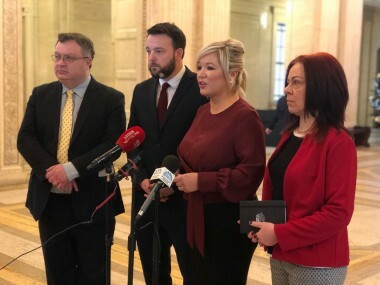 Sinn Féin is ready for talks, to establish a new Executive working in genuine power-sharing, and operating to the highest standards of governance. A new Executive must include new ways of working, be inclusive of all parties and respect the rights of all the people. The DUP knows what needs to be done. Theresa May knows what needs to be done. It will require leadership that has been absent to date. The two governments have indulged the DUP at the cost of the political process. 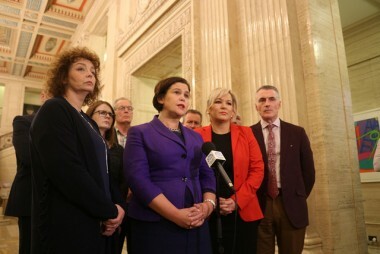 The two governments know what must be done to form a new Executive in the north. The current do-nothing approach is running out of road. The majority of parties share a common approach to Brexit and to the rights of citizens, and are committed to working together to build a new Executive. The two governments must convene talks and make clear the agreements and rights of citizens will be at the core of a new Executive. The Irish Government cannot look on as spectators. They cannot stand idly by while the DUP and British government shred the agreements. The agreements are the people’s agreements. The people voted for them. The Taoiseach said that the people of the north will not be left behind again. The government must plan for a successful talks process and also have a backup plan. They must also begin preparations for Irish Unity. 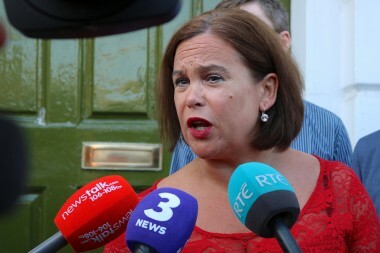 There is no contradiction in seeking the establishment of the institutions of the Good Friday Agreement and fulfilling its promise of a unity referendum. The time is right to hold an informed and respectful conversation and referendum on our shared long term future as a united people and a united Ireland. No government should try and stifle that debate or call for it to be suspended. I remain optimistic because Ireland is changing. I believe that we have the policies and plans to tackle the housing and health care crises. The debate on Irish unity is under way, and we will have elections and the opportunity for people to have their say. The choice is simple, continue with the failing policies of Fine Gael and Fianna Fáil or plot a new course for a new and united Ireland. I look forward to the new year and the continued challenges and opportunities of a changing Ireland.